The estimated population of West Virginia is over 1,812,000 with a workforce of approximately 808,800 . 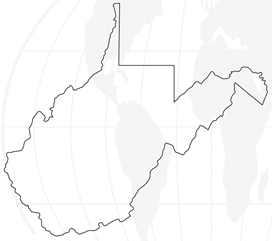 West Virginia is 37th largest state in terms of population. In places like Charleston, Morgantown, and Wheeling, the demand for educated and trained West Virginia computer forensics professionals continues to increase. Some of West Virginia’s major industries include coal mining, livestock, and chemical manufacturing. But one newer field that is continuing to grow in the Mountain State is computer forensics. There are some opportunities to attend campus-based computer forensics degree programs in West Virginia. Also, there are plenty of online computer forensics degree programs to choose from. You can earn a respected, accredited degree from the comfort of your own home in West Virginia. As the demand for computer forensics experts continues to grow, more and more schools are rushing to make degrees more readily available for interested students. Online computer forensics schools should continue to be a popular choice for those interested in this career field. When it comes to standard operating procedure in computer forensics, every state has its own laws and procedures. Currently, West Virginia is operating with regards to the Federal Rules of Civil Procedure Amendments. There are no additional state laws or statutes on the books in West Virginia concerning computer forensics or data recovery*. In West Virginia, individuals in the computer forensics field make far greater money than the average pay across all professions in the state. According to the United States Department of Labor, West Virginia has an average state salary of $31,440 across all professions*. Computer forensics professions make significantly more at $66,000 a year**. Of course, as with any profession, the pay for computer forensics varies by the specific city you practice in. For instance, in Charleston computer forensic professionals make a slightly higher salary than those in Wheeling**.